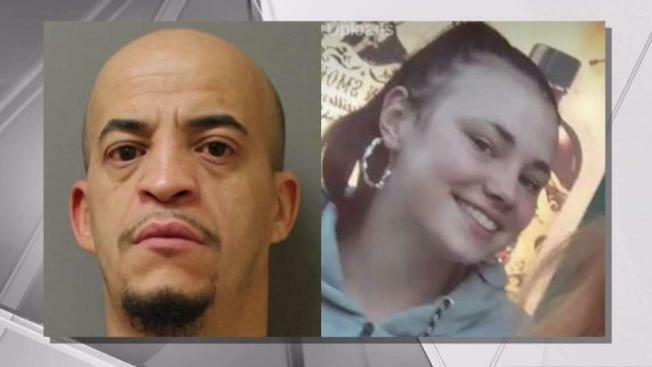 An Amber alert has been issued in New York for a 14-year-old girl who was abducted in upstate Rochester, and authorities say she and her alleged kidnapper may be headed to New York City. A 14-year-old girl who was allegedly snatched on a Rochester street by a neighbor over the weekend has been found safe, State Police said Tuesday. It wasn't clear where Joanna Coates was found; more information is expected to be released later in the day. She was allegedly abducted by 41-year-old Robert Gonzalez on LaSalle Street Saturday evening, police said. Gonzalez had last been seen traveling southeast, possibly headed to New York City, officials said. Gonzalez was located as well. The circumstances were found were not immediately clear. Coates' mother says Gonzalez befriended her daughter over the summer. She says she's known him for decades, since he was 16, and that he's dangerous. "He's a junkie, he sells drugs, he pimps girls out, I don't want my daughter to be one of those people," mom Linda Hollaert told WHEC hours before her daughter was found. "I am asking anybody, everybody, I don't care where she is, just bring her home safely to me. I just want my daughter home ... please." "I did not give permission for my daughter to be taken out of Monroe County by any man ... she is 14," Hollaert added. "I've known this man since he was 16 years old and he is not a good person."